The current value of land is not what you initially paid for it, or what you feel it is worth. For the real estate appraiser or the real estate broker estimating the current market value of a piece of land, the estimated value is what a ready, willing and able buyer might pay for the property in the current market. Since a real estate professional doesn’t have a crystal ball to tell her what a ready, willing and able buyer will pay for a piece of property, the professional must use information from similar properties that have already sold. For a current analysis, the professional needs to locate land that sold within the recent history, such as in the last six month. For an accurate estimate, the estimator needs data on similar land. Ideally, the professional will locate three pieces of land. After adjusting the actual sale prices to compensate for the difference between the comparable and subject property, the estimator adds up the total sale prices, and divides the number by three, or the number of comparables, to determine the estimate value of the property. 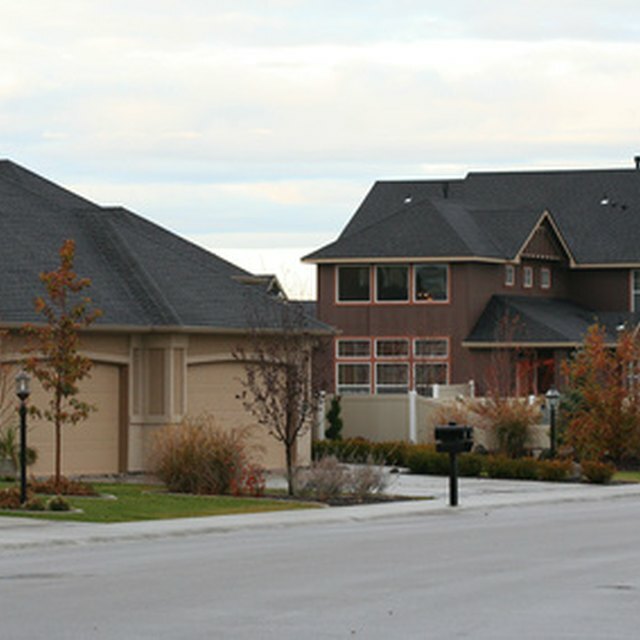 Two identical-sized parcels of vacant land, located next to each other, may be valued very differently. One factor to consider when estimating land value is elevation or the slope of the lot. A level piece of property will tend to be worth more than a similar sized hillside lot, which requires extensive grading or retaining walls prior to construction. Some lots appear visually to be level, yet require extensive grading. Land with utilities will be worth more than similar land, which does not yet have utilities. The cost of installing utilities also affects land value. For example, if comparing two parcels of land, each without utilities, the one closer to utilities will tend be of greater value. Another consideration is the septic system. When not connected to a sewer system, the property owner will typically need to install a septic system, which is not always possible. As the cost of installing utilities or a septic system rises, the land value declines. Property zoning effects property value. If you have two identical pieces of property, located in a similar area, yet one is restricted to recreational vehicle use only, while the other is a buildable lot, the buildable lot has greater value. It is not unusual for real estate buyers, looking for inexpensive land, to come across a beautiful parcel of level land at a low and affordable price, yet discover it has severe building restrictions, thus explaining its low price tag.